Sabeer Bhatia is an entrepreneur who is mostly known as founder of Hotmail email service. Besides Hotmail, he is also the founder of Jaxtr. 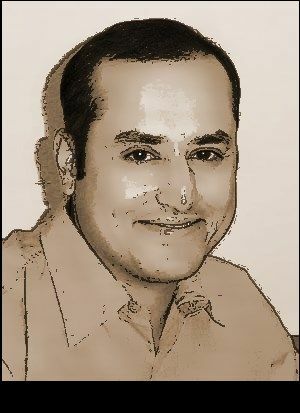 Sabeer Bhatia was born in Punjab (India) on 30 December, 1968. Tough he was born in Punjab, He grew up in Bangalore. Sabeer has got his primary education from The Bishop's School in Pune and from St. Joseph's Boys' High School in Bangalore. He had done his B.S degree from California Institute of Technology and M.S. degree on electrical engineering from the Stanford University. Sabeer started his career at Apple computers as a hardware engineer. During that time he got the idea of Hotmail. The idea of Hotmail came to their mind when a firewall at apple stops the email he was using to communicate with his co worker Jack Smith. He started Hotmail with his friend Jack Smith on July 4, 1996.Hotmail was the first web based email service and it took little time to get popular. In 1998 Microsoft bought Hotmail. Sabeer Bhatia has got many awards.He got entrepreneur of the year award in 1997 by Draper Fisher Jurvetson.TIME named him as a "People to Watch” in international business in 2002.